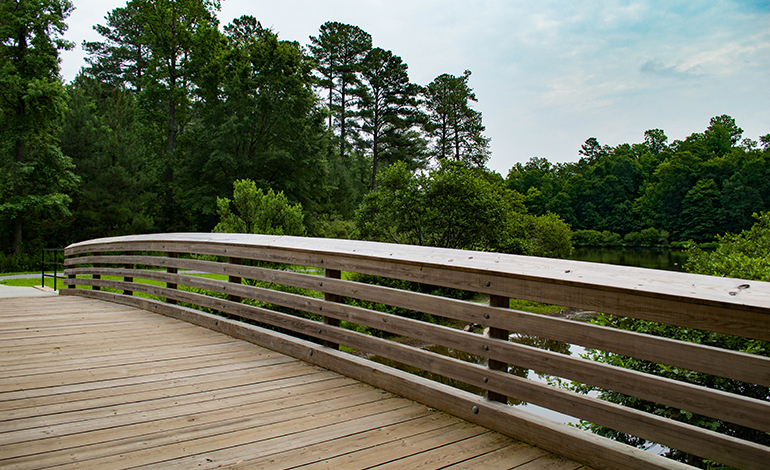 The Town of Cary contracted McAdams to complete the design and engineering, permitting and construction administration for a section of Symphony Lake Greenway Trail. The project included re-alignment of an asphalt greenway trail and replacement of an existing pedestrian bridge with a more aesthetically pleasing, wider pedestrian bridge at the western side of Symphony Lake. The Town undertook the project to provide an enhanced safety and user experience. McAdams prepared detail demolition, site, grading and erosion control plans and secured all permits for construction through the Town of Cary, U.S. Army Corps of Engineers and NCDENR. 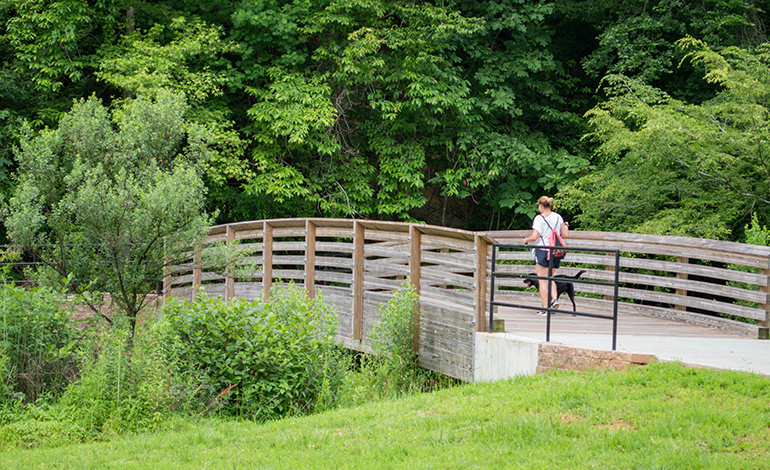 McAdams worked in close collaboration with Town staff and a structural engineer to design a bridge with a unique aesthetic character that also now functions as a standard Town of Cary greenway bridge.